McDonald's latest new-concept store is the "Burger Bar" branded store that it opened last month in Perth, Australia. 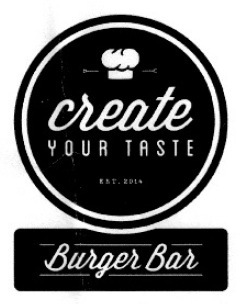 Although a corporate announcement calls the store "the next evolution of McDonald's Create Your Taste (CYT) concept," the Burger Bar doesn't change the basic CYT burger customization platform that's available in 750 Australian McDonald's. What it does do is use the CYT open kitchen to prepare a variety of fancy breakfast options, according to Martin Eade's Perth food blog Morsels, from which the photo below comes. Breakfasts are delivered to tables, as are CYT burgers. Many of these upscale breakfast items--including smashed avocado toast, stacked corn fritters, Belgian waffles and a sandwich of bacon, egg, spinach and tomato relish on a toasted brioche-style bun--were, as reported here, part of the "Gourmet Breakfast" test McDonald's conducted in July outside Brisbane, Australia. Unlike CYT burgers, however, breakfast items are not customizable. Still, McDonald's release calls them "a breakfast-lover's dream." 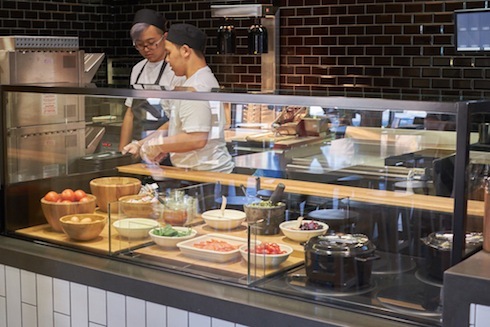 "The Burger Bar dining evolution comes after listening to what our customer want from a contemporary food destination," says Robert Sexton, McDonald's Market Leader for Western Australia. "It's an enticing combination of kitchen theatre and taste sensations, and a completely new option for Perth food lovers."